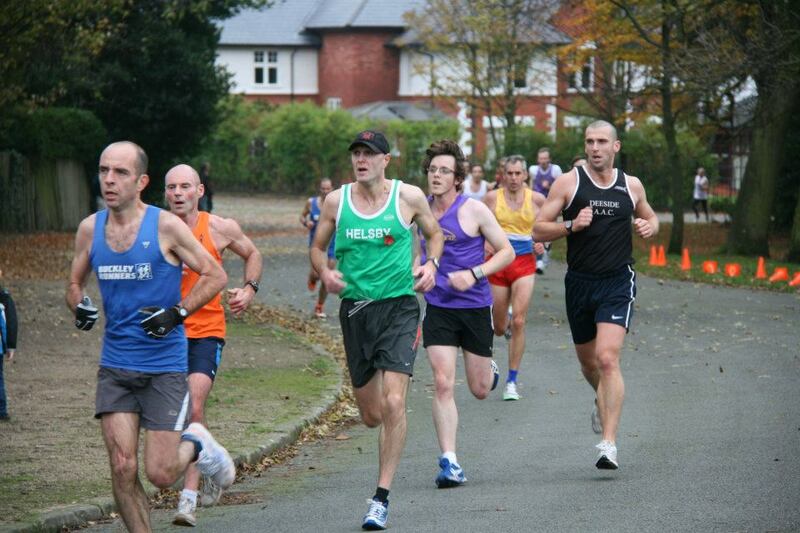 Race 2 in the Border League organised by Wallasey was held at Birkenhead Park. 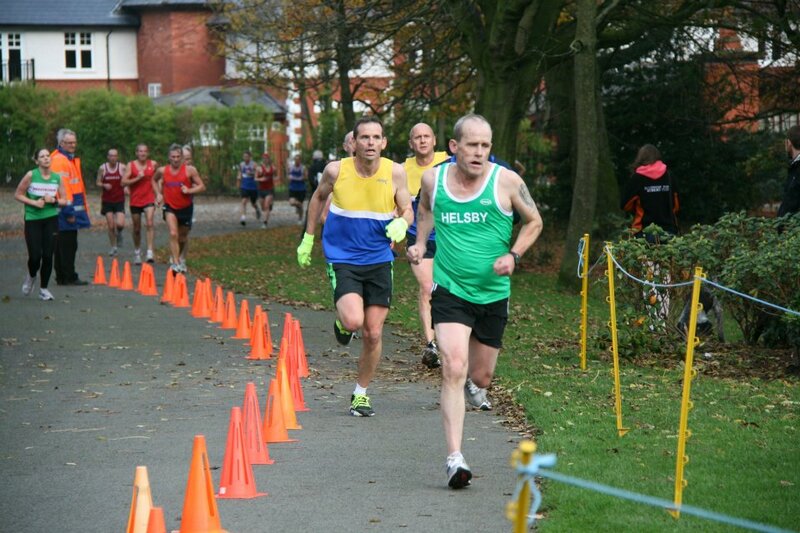 4 laps enticed a good Helsby contingent to follow Albert’s sound advice and count the laps down instead of up! The total distance was somewhere in the region of 5.5 miles. Observing a minutes silence at 11.00am for Remembrance Day as soon as the whistle went it was just like running in Central Park, although of course on a smaller scale. Fallen leaves created a nice Autumnal backdrop and once again good weather prevailed. 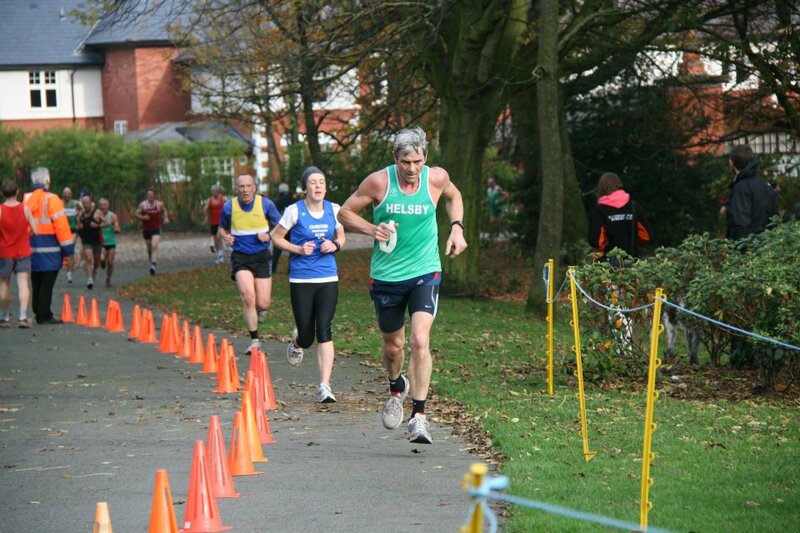 There were some very impressive performances by Helsby runners in their respective categories, with Albert and Robbie both second and Vanessa not far behind with a 4th place. Finish of the day goes to Mike and Jayne having a great battle in the last few metres. Poor Joe didn’t know who to shout for! 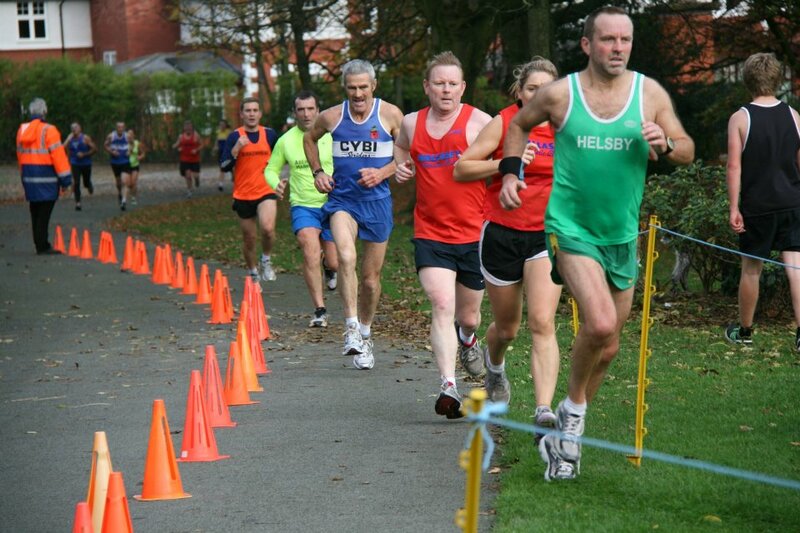 Thanks to Phil for missing a much desired fell race to support the club and a note must also be made to the new contingent of Helsby runners who are bringing in a much needed enthusiasm and talent to the club with races like this. They are making a big difference. With 11 men out for Helsby, we are now 2nd in Division two which is brilliant to see. Could we aim for promotion? 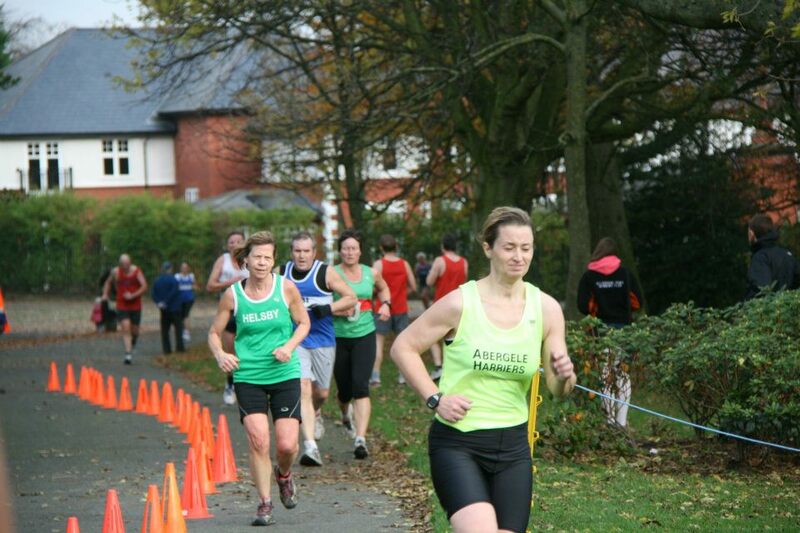 But it’s not just the men, Helsby ladies were also 2nd in their division. Let’s hope we can keep this up. But no pressure anybody, first and foremost we have to enjoy the running. 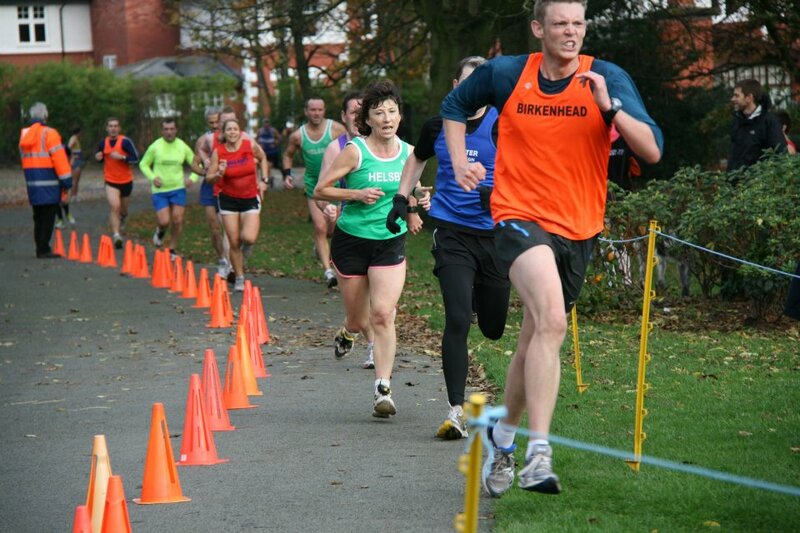 The next race is organised by Tattenhall, fairly local and possibly our local ‘derby’. It’s on Sunday 11th December, I know everyone will have all their Christmas shopping done by then :d so it’ll be good to have another strong showing.